Time magazine named Adolf Hitler and Josef Stalin the Man of the Year in back to back years in the 1930s. So without further ado, here's their list of nominees for 2018, this time for Person of the Year (the title changed in 1999). "More than 2,000 families were separated at the U.S. border this year under a Trump Administration policy aimed at deterring illegal immigration. Prompting backlash, the “zero tolerance” policy was announced in April and formally ended in June, and resulted in thousands of children being held in federal government facilities while their parents were sent to jail," Time writes. The loopy California psychology professor blasted onto the scene when she alleged that Supreme Court nominee Brett Kavanaugh groped her 36 years ago. She quickly became a cause celeb -- even though none of her allegations were ever corroborated by anyone, including those she said attended a drunken high school party where the alleged groping allegedly happened. A GoFundMe page collected more than $700,000 for her and she's reportedly being courted to write a book. "After 17 people were killed on Valentine’s Day in a mass shooting at Marjory Stoneman Douglas High School in Parkland, Fla., students from the school organized the #NeverAgain movement and the March for Our Lives demonstrations across America, campaigning for gun-control reforms to prevent similar tragedies," Time writes. "A prolific commentator and critic of Saudi Arabia’s Crown Prince Mohammed bin Salman, journalist Jamal Khashoggi was last seen entering the country’s consulate in Istanbul on Oct. 2. Believed to have been murdered on the orders of the Crown Prince, his death prompted international outcry and scrutiny of the Saudi regime," Time says. The former FBI director has been conducting an investigation for nearly 18 months into allegations that President Trump and Russians colluded to influence the 2016 presidential election. So far the probe has turned up nothing to indicate Trump was involved, but since special counsel Mueller is still at it -- and because he was runner-up for Time's 2017 Person of the Year -- he makes the list again. See above. If the mainstream media is going to keep hyping the alleged Russia-Trump collusion, then they need a boogeyman. And Putin, the president of Russia, is the Baba Yaga of boogeymen. "Director Ryan Coogler, 32, created this year’s phenomenally successful Marvel film Black Panther. The superhero movie, set in the fictional African country of Wakanda, featured a largely black cast and had the third-highest grossing U.S. release of all time," Time writes. She married a prince. 'Nuff said. "The 45th president of the U.S., and TIME’s 2016 Person of the Year, marked his second year in office through navigating crises involving both himself and his staff, attacking an encircling investigation implicating people close to him, and enacting several controversial policies, ranging from separations at the border to an international trade war with China," Time writes. But you might know him as the guy who infused confidence in the U.S. markets, pumped the economy to record highs and the unemployment rate to record lows, who stood fast in the face of pressure to join the globalizers and who is battling to secure America's borders. But maybe Time just forgot to mention all that. 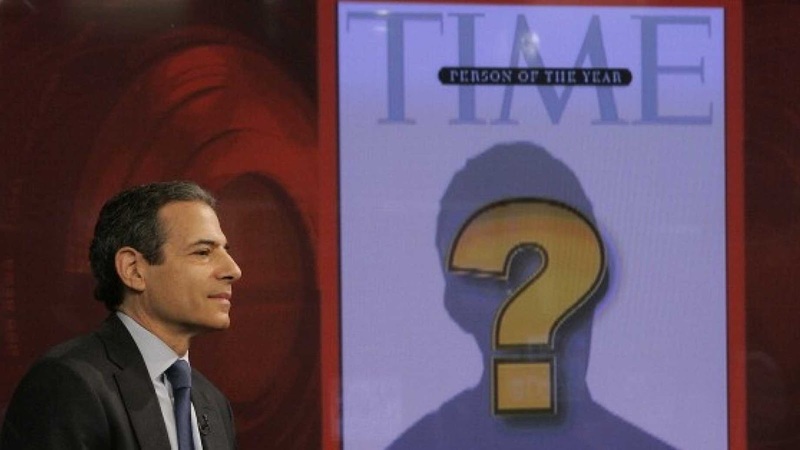 "Since 1927, TIME has identified the Person of the Year, recognizing the person or group of people who most influenced the news and the world — for better or for worse — during the past year," Time writes. The 2018 Person of the Year will be unveiled on "The Today Show" on Tuesday in the 7 a.m. EST hour.